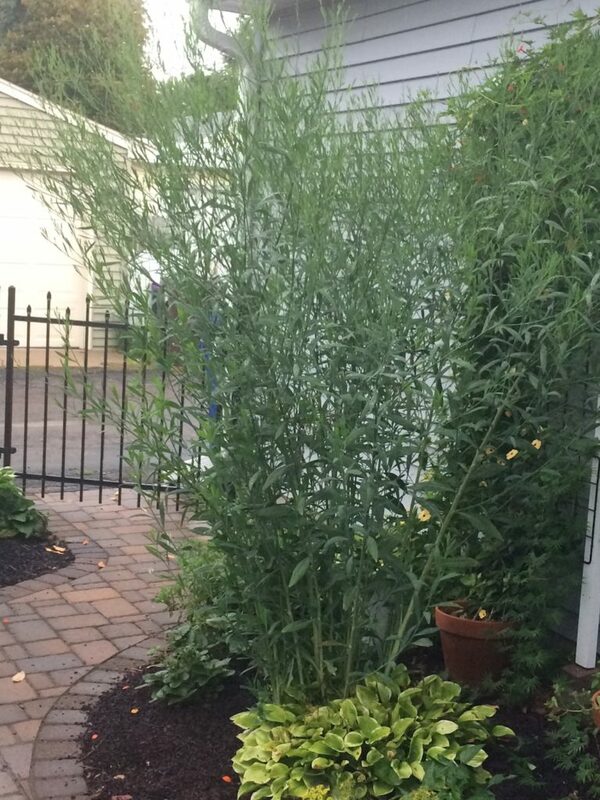 Whenever folks walk into my back garden, they are shocked by the height of one plant. It’s close to 7 feet tall, narrow in stature and it looks like it should be growing in a jungle somewhere, but this is actually a Minnesota native plant. It’s called false aster or in botanical Latin Boltonia asteroidis. False aster is covered with bright white and yellow ray flowers in fall. Boltonia is native to most of the eastern half of the United States and up into Canada, as well as to the Pacific Northwest. It’s a tall prairie plant that blooms very late in the season. Mine typically start blooming in September and continues up until the first frost. False aster grows tall and flowers in September. It rarely flops. It’s usually recommended that false aster be placed in the back of a perennial border because of its size and its late blooming. It’s not exactly an elegant plant. The one in the photo is going to be moved to the fence line of my backyard next spring because it’s really too much where it is — even though I think it’s a fun plant. It will make a great screen between my back patio and the alley. 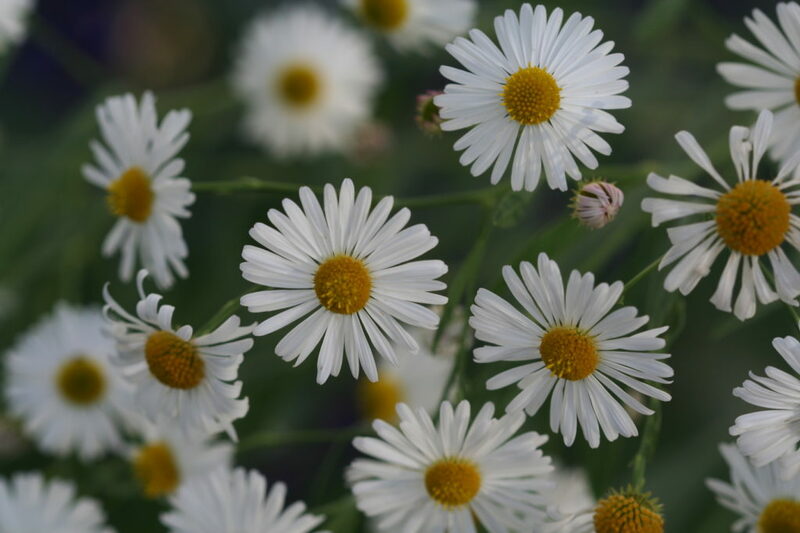 What I love about false aster is that its blooms are brilliant white daisy-like flowers. In fall, so much of the landscape is filled with yellow, orange and red. The white of the blooms is striking and they stay in bloom for several weeks, unless there is an early frost. The blooms are a favorite of bees and other pollinators, too, and are often one of the last things growing in the garden. The plants grow in an upright fashion and my experience is they will not flop over, no matter how tall they get! They do, however, get wide and need a place with plenty of room. False asters can spread so you don’t want them to be too happy. I’m expecting to do regular cutting back once they are established. False aster loves moist soil — so if you have a wet spot or garden near a pond or shore, it may be a good option. What’s your favorite late blooming plant?